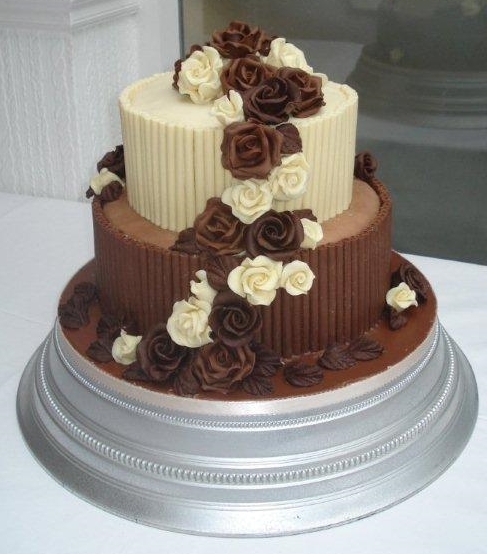 Classic, Contemporary or modern - every cake is individually designed to meet the customer’s requirements. 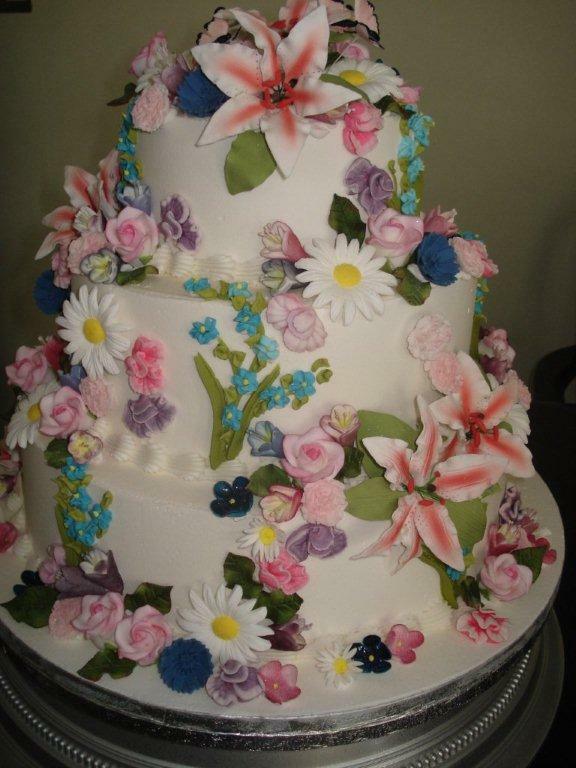 Each Wedding Cake is delivered and assembled at the venue by our own trained staff. We will provide you with a free consultation to discuss your requirement -and of course there is no obligation! Your wedding cake will be the centre piece of your reception and we can provide the cake that is right for you however large or small your wedding is. We can cater for all. It can be as elaborate, striking and bold in colour as you wish or if you prefer, it can be a traditional design, with handmade flowers to match the colour of the bridal bouquet. We specialise in all types of cake designs. Royal, Regal and Chocolate icings are used. All of our cakes are individually hand baked and manufactured on our own premises. We use a unique cake mixture which has been developed over the last 20 years. We can cater for all types of customer requirements including nut free, vegetarian, vegan and other special dietary requirements.